Every Room is Inhabited by a Spirit in this Hell House LLC II: The Abaddon Hotel Trailer! 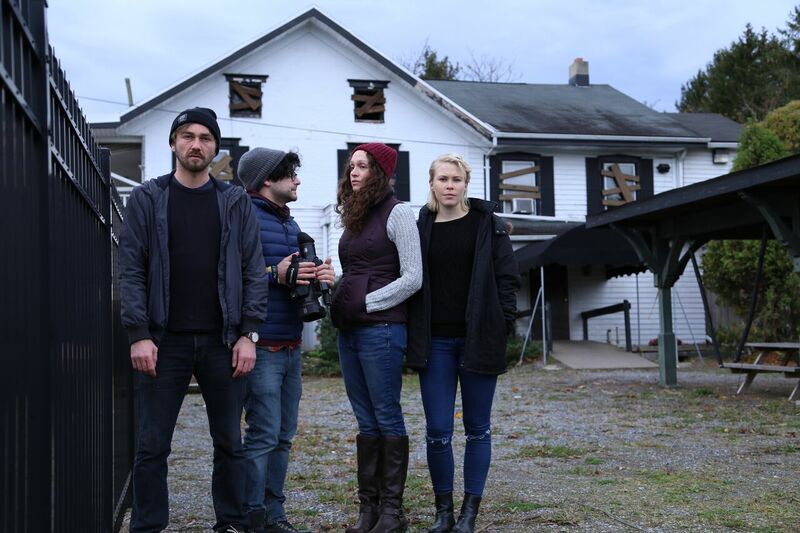 Hell House LLC II: The Abaddon Hotel is the follow-up to the 2015 film. Director Stephen Cognetti returns to the series, along with actors Jillian Geurts (Abnormal Attraction), Vasile Flutur (Far From Here) and Joy Shatz. This time, Hell House LLC II: The Abaddon Hotel will answer some of the questions, left unanswered, from the first film. 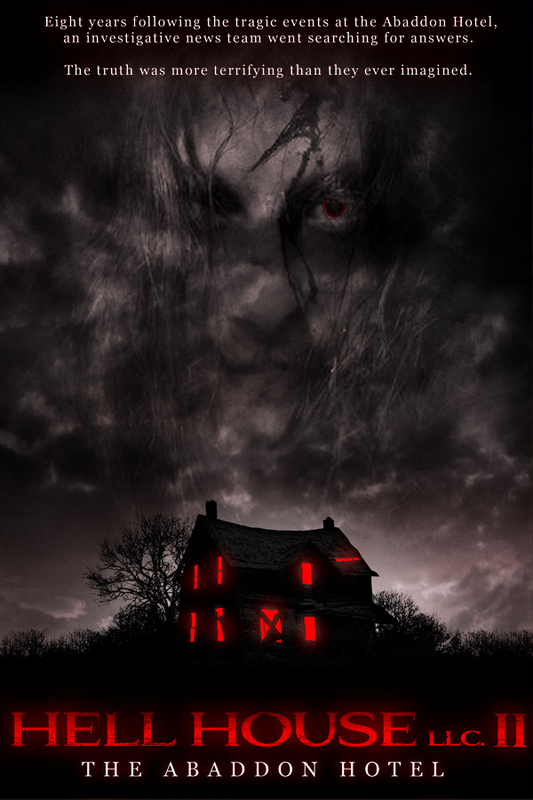 As well, Terror Films has picked up the Digital rights to Hell House LLC II: The Abaddon Hotel and they will release the film in mid-September. Now, an official poster, stills and a trailer are available for the film here. 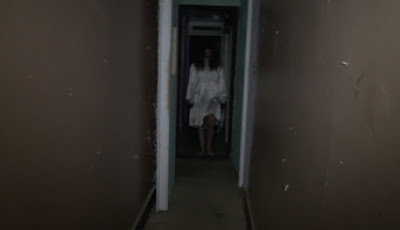 A synopsis has been released for Hell House LLC II: The Abaddon Hotel. The logline mentions an investigative journalist, named Jessica (Guerts). She has assembled a team of truth-seekers to enter the Abaddon hotel, in hopes of discovering evidence on several murders. What they find cannot be unseen! Hell House LLC II: The Abaddon Hotel has mostly been shot with handheld cameras as seen in the trailer. The investigative team is quickly overwhelmed by the ghostly apparition in the hotel. And, the first trailer will give horror fans a taste of what is to come, this September. 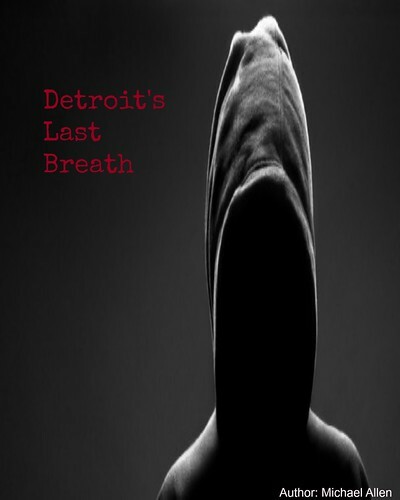 Terror Films will release this indie title on several Digital platforms. The initial release will take place on: iTunes, Amazon Instant Video. This initial release will be followed by a wider one, which will include: VUDU, Tubi TV, Roku, iFlix and more. For now, indie horror fans can view the latest promotional material, for Hell House LLC II: The Abaddon Hotel right here! Release Date: September 14th, 2018 (Digital). Cast: Vasile Flutur, Jillian Geurts, Joy Shatz.